From smartphones to tablets and PCs, fingerprint unlocking has seen a gradual surge in popularity in the last couple of years. However, the technology is now shifting gears and moving to a new territory: cars. According to a report by The Korean Herald, South Korean auto giant Hyundai has showcased a car that will allow drivers to unlock and start the vehicle by simply using their fingerprints. The car in question is Hyundai’s premium SUV, the Santa Fe. The company showcased the car – and the tech – at an auto show in China. The fingerprint sensor will be in the door handle as well as at the ignition point. The good thing is that the car will allow multiple drivers to enrol their fingerprint data. What’s even better is that as soon as the fingerprint is recognised the car will adjust the angle of rear-view mirrors and the position of the seat. 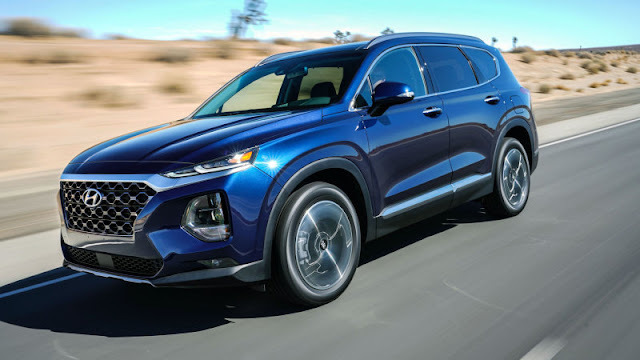 As of now, the feature will come to the Hyundai Santa Fe in China and is expected to debut in 2019. A report by Engadget further explains that Hyundai uses “human capacitance” to make sure that no one can hack or fake fingerprints. According to Hyundai, the system has an error rate of 1 in 50,000. The new Santa Fe in China will also Baidu’s voice recognition and will offer a wireless mobile phone charger. While fingerprint tech has been around in cars, Hyundai will be the first manufacturer to use it in a vehicle’s door handle. 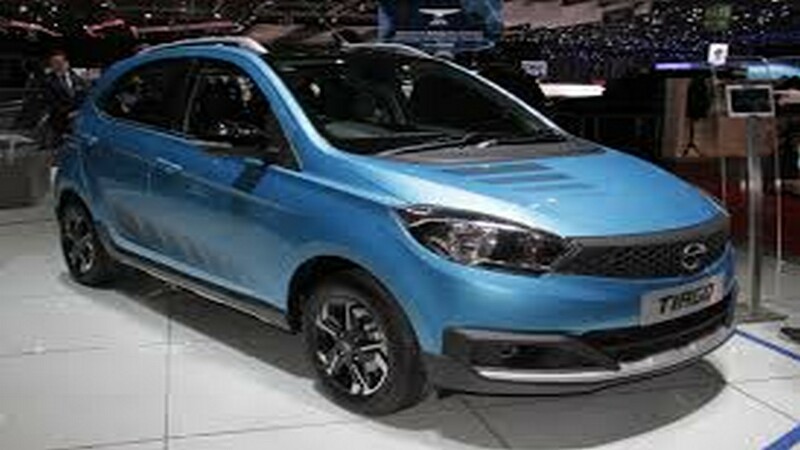 The car also comes equipped with Chinese internet giant Baidu's voice recognition system and a wireless phone charger. As of now it has been reported that Hyundai will launch the car in China only. It is expected to roll out on the roads in early 2019. 2018 would go down as the year when smartphone industry attempted some radical innovations. Some worked out, while some fizzled out. 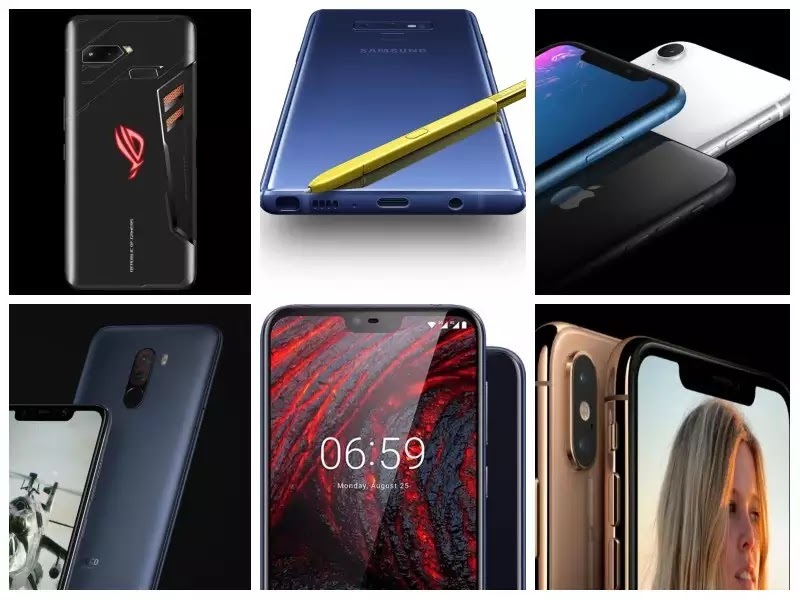 Since we have almost reached the end of the year 2018 and it is time to take a look back at all the smartphones that grabbed our attention. Here is a list of 15 smartphones that had something noteworthy to offer across price segments and were launched this year: Note: The smartphones in the list are in random order. Big screen, big bucks. Apple’s best iPhone of the year (review) boasts of a 6.5-inch display. That’s not all, it also has a processor that has consistently been rated the best in the business. The only thing that works against is the high price tag it carries. It is powered by A12 Bionic chip and offers a dual rear camera setup of 12-megapixel wide-angle and telephoto cameras. On the front, there is a 7-megapixel sensor. It comes in three storage variants of 64GB (Rs 1,09,900), 256GB (1,24,900) and 512GB (Rs 1,44,900). As always the best camera in a smartphone belonged to Google’s Pixel 3 XL (review). It’s remarkable that while other brands keep falling over each other to put two, three and now even four cameras, Google wields magic with just a single camera of 12.2-megapixel sensor. Other specs of the handset include a 6.3-inch QHD+ OLED screen, Qualcomm Snapdragon 845 processor, 4GB RAM and two storge variants -- 64GB (Rs 78,500) and 128GB (87,500). In terms of offering a complete Android experience, OnePlus 6T (review) is one of the obvious choices for a buyer. The device offers a nearly stock Android experience with the latest Android 9.0 Pie, powerful performance of the Qualcomm Snapdragon 845 processor, in-display fingerprint sensor and much more. It comes in three storage variants -- 6GB RAM +128 GB (Rs 37,999), 8GB RAM +128 GB (Rs 41,999) and 8GB RAM + 256GB (Rs 43,999). If you want to experience the powerful processors -- A12 Bionic -- of the iPhone XS and iPhone XS Max at a slightly lower cost, then iPhone XR (review) is the handset to go for. However, you may have to make compromises in terms of having a single rear camera and an LCD display. On the plus side, it is the only iPhone that offers six colour options -- Red, Yellow, White, Coral, Black, Blue. It comes in three storage options -- 64GB (Rs 76,900), 128GB (Rs 81,900) and 256GB (Rs 91,900). In terms of innovation, with the P20 Pro (review) is Huawei took the title of becoming the first smartphone manufacturer to offer three rear cameras that includes a 20MP monochrome sensor, 40MP RGB sensor and an 8MP telephoto sensor. Some of the other specifications are 6.1-inch full HD+ OLED display, 24MP front-facing camera, octa-core Kirin 970 processor, 6GB RAM, 128GB inbuilt storage, 4000mAh battery -- all of that priced at Rs 59,999. With the Galaxy Note 9 (review), Samsung introduced a much improved S-Pen with Bluetooth support. Using the S-Pen, users can click pictures, access apps, make presentations and much more. Other specs of the handset include Qualcomm Snapdragon 845 processor, 4000mAh battery, up to 512GB internal storage, water-carbon cooling system. It comes in two storage variants -- 128GB (Rs 67,900) and 512GB (84,900). The Poco F1 (review) makes it to the list just because it offers a flagship processor -- Qualcomm Snapdragon 845 -- as the other handsets that offer the same processor are nowhere nearly priced as this device. Other specs of the handset include 6.18-inch FHD+ screen, 4000mAh battery, 12MP+5MP rear cameras, 20MP front camera and more. It comes in three storage variants -- 6GB+128GB (Rs 19,999), 6GB+64GB (Rs 22,999), 8GB+256GB (Rs 27,999). This flagship smartphone from Samsung offers a human eye-inspired variable aperture -- of F1.5 and F2.4 modes -- that automatically switches between various lighting conditions. If it's dark, the lens opens to F1.5 mode and in the day-light the lens shifts to F2.4 mode. Other specs of the Galaxy S9+ (review) handset include 5.8-inch QHD+ screen, 8MP sensor, Qualcomm Snapdragon 845 processor, 3,500mAh battery. It comes in three three storage variants -- 64GB (Rs 64,900), 128GB (Rs 68,900) and 256GB (Rs 72,900). Upping the 'cool quotient' with a pop-up slider camera, the Vivo Nex (review) managed to eliminate the notch that was spotted in budget and flagship smartphones alike. In terms of specs, it comes powered by Qualcomm Snapdragon 845 chipset, 4000mAh battery and 6.59-inch FHD+ display, 128GB storage and 8GB RAM. 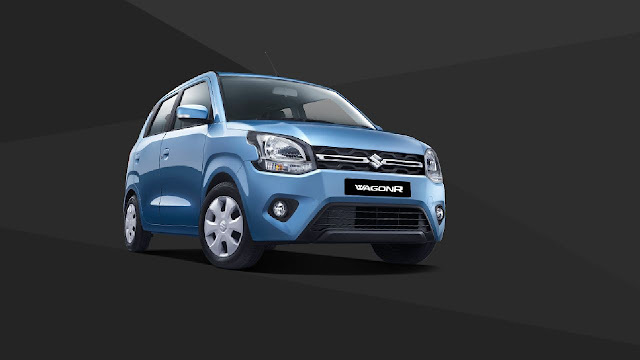 It comes in a single storage variant and costs Rs 44,990. With mobile gaming becoming popular in India, it was only a matter of time that a dedicated gaming smartphone came to the market. Asus' ROG phone (review) packs all the right ingredients of a solid gaming smartphone -- a good AMOLED screen, powerful performance, large battery and accessory support. Priced at Rs 69,999, the Asus ROG has 6-inch FHD+ display, Qualcomm Snapdragon 845 processor, ‘specially optimised’ Adreno 630 GPU and LPPDR4X 8GB RAM. With MP3 players becoming a thing of the past, an added, yet under-appreciated feature of any smartphone is the audio quality and the LG G7+ThinQ (review) will not disappoint you in this department. It comes with the ‘Boombox Speaker’ mechanism that essentially makes the smartphone as good as a mini speaker. It also lets you activate the Hi-Fi Quad DAC audio tech. As for other specs, the LG G7+ ThinQ offers Qualcomm Snapdragon 845 processor clubbed with 6GB RAM, 3000mAh battery and 6.1-inch QHD+ FullVision display all at a cost of Rs 39,990. With Nokia 6.1 Plus (review), users get everything from a 19:9 aspect ratio screen, compact form factor, decent cameras, good battery life and Android 9.0 Pie support, making it a good choice for the price. Nokia 6.1 features a 5.5-inch full HD display and is powered by Qualcomm Snapdragon 630 processor. The Nokia 6.1 Plus is backed by a 3060mAh battery and comes equipped with a 16MP (f/2.0 aperture) + 5MP (f/2.4 aperture) rear cameras with LED flash. It comes in a single storage variant of 4GB RAM and 64GB storage and costs Rs 15,999. For those who are heavy smartphone users and hate to charge their devices all the time, then Asus Zenfone Max Pro M2's 5000mAh battery will leave no room for complaint. Over that, users get a stock Android experience, 6.2-inch full HD+ screen, Qualcomm Snapdragon 660 processor, 12MP (f/1.8 aperture) + 5MP (Depth Sensor) rear cameras and more. It comes in three storage variants -- 3GB RAM +3 2GB (Rs 12,999), 4GB RAM + 64GB (Rs 14,999) 6GB RAM + 64GB (Rs 16,999). Why we think Realme 2 (review) is the best is because it’s the first phone to come with a notch under 10k. Also, in terms of a wholesome package, Realme 2 Pro seems to have an edge over the chasing pack. It is essentially a sub-10k price smartphone that offers what most of the mid-range models are offering today. In terms of specs, the handset has a 4230mAh, 6.2-inch screen, 13MP+2MP rear cameras, 8MP front camera, Qualcomm Snapdragon 450 octa-core processor and more. It comes in two storage variants -- 3GB RAM +32GB (Rs 9,499) and 4GB + 64GB (Rs 10,990). According to market research firm IDC, Xiaomi Redmi Note 5 Pro (review) is the best selling smartphone under Rs 20,000 in India. The handset offers a 5.99-inch screen with a FHD+ resolution, Qualcomm Snapdragon 636 processor -- was the first smartphone in the world to be powered by it, 4000mAh battery, dual rear camera setup of 12MP+5MP RGB sensors, 20MP front camera and more. It is available in two storage variants 4GB+64GB (Rs 13,999) and 6GB+64GB (Rs 15,999). We've already seen the first pure-electric Audi in teaser images, under QR-code camoflauge and even unveiled under a barrage of lights accompanied by a DJ set from Diplo. But no amount of pomp and circumstance, sly marketing or famous DJs matter until you get behind the wheel. 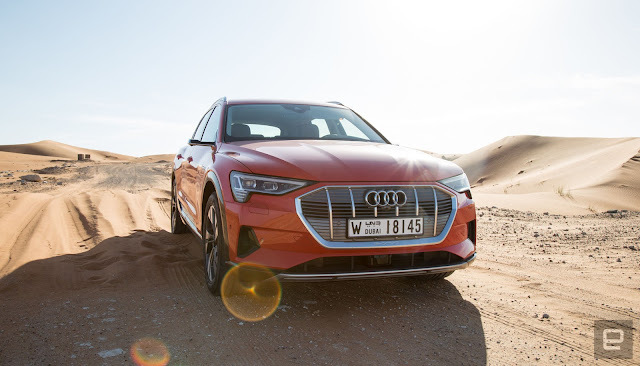 Good news then, that I finally had the chance to drive the Audi E-Tron in a barren desert, about as far as you can get from a well-orchestrated launch party. 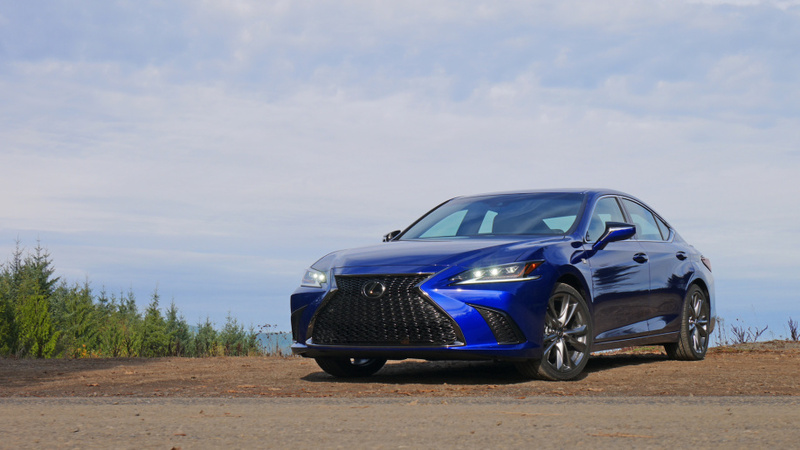 The 2019 Lexus ES 350 F Sport truly cements that "driving like a Lexus" now means something far different than it ever did before. It's not dull, it's not anonymous and old ladies probably won't like it. It should not be painted pearlescent white. Instead, the new ES is genuinely engaging to drive, feeling every bit like it was spawned from the same gene pool as the lustworthy LC coupe and surprisingly sharp LS flagship sedan. I actually enjoyed driving it more than the BMW M550i, and I liked driving that car quite a bit. Seriously. No one is as surprised by that statement as the guy who typed it. Audi’s E-Tron blends luxury with cutting-edge tech. A tech-filled SUV that’ll woo fans of gas vehicles. The Audi E-Tron will land in the second quarter of 2019, in an increasingly crowded electric-SUV segment. But its main competitors will be the Tesla Model X and the Jaguar I-Pace. Both are outstanding vehicles and the German automaker needed to make sure it could compete with those and rival SUVs coming from BMW and Mercedes-Benz. So far, it looks like Audi pulled it off and the E-Tron is a great debut into the EV world for the automaker. This isn't the first Audi E-Tron though -- the Audi A3 hybrid gets that honor. But that will be the last E-Tron with a gas tank. The new SUV (starting at $74,800) with its two electric motors ups the ante of the E-Tron brand and paves the way for the upcoming E-Tron GT sedan (announced at the LA Auto Show, coming in 2021). While the 2019 E-Tron shouldn't be expected to perform like a sports sedan, it does give us a peek into what we can expect from Audi. The new E-Tron comes with Audi's all-wheel-drive "Quattro" system, which is powered by two electric motors, which are powered by a 95kWh battery under the floorboard. That array of cells will comes with an eight year/100,000 mile warranty and if any of the modules go bad, Audi says the entire battery setup can be removed and the offending cells can be replaced. That should ease the minds of those concerned about what happens when part of a battery goes south. That battery pack provides about 400 horsepower and 489.7 foot-pounds of torque. On straightaways and highways, I overtook cars with little effort for an SUV -- Audi says it'll do zero to 60 in 5.5 seconds. The acceleration won't impress your friends that much (especially if they've been in a Tesla), but it's more than adequate for 99.9 percent of your daily driving. Audi gave me the opportunity to take the vehicle on some dirt roads heavily dusted with desert sand. The Quattro system did a great job making sure I stayed on the road and not get stuck in the loose sand. Audi was quick to point out that it's not a robust offroader but my drive suggests it will be capable enough for most on dirt roads (without too many ruts) or out in the snow. Cornering was fine on dirt and sand roads where ruts and drifts can lead a vehicle to a bad situation pretty quickly. On asphalt, it's more than adequate to make highway on-ramps and measured drives through mountain roads enjoyable. It corners better than the Model X, but not as precisely as Jaguar's I-Pace. That's to say, it'll get you to your chalet during dry and snowy conditions with no problem, just don't expect too much of it while going around actual corners. There's regenerative braking here, too. Testing it on the mountain roads in the United Arab Emirates, I was impressed by how quickly I could generate battery power -- you can even control the level of regeneration while coasting with the steering paddles. The highest setting was enough to slow me down from a moderate speed to get around a sharper-that-usual corner. The brakes are the real technological feat here. The first 0.3 G of deceleration (light braking) is handled by the two motors, that then feed that energy to the battery. Anything more than 0.3 Gs and the traditional hydraulic brakes take over. Like most electric vehicles, you can also adjust your driving behavior to extend the range and see real-time results in the display in the dash cluster. There's also the traditional charging setup. The vehicle ships with a DC fast charger port and can accept up to 150kW of power. Unfortunately, it's tough to quantify that into range per minute of charge. It's fast, but the automaker still needs the EPA to give it a proper rating for the United States. The European WLTP test gives it a range of 248.5 miles but the EPA's more stringent tests should be less than that. That information should be available closer to the release of the car in the United States. Meanwhile, the in-car tech is powered by Audi's new MMI infotainment system. Like the system found in the A7 and A8, it's a great update and a frustration-free experience. Even the climate controls which use the second display (below the main one) are easy to use and because Audi places the shifter near the system, you're wrist can rest on the housing and you can quickly build up muscle memory to adjust the temperature. The adaptive cruise control and lane-keep assist are also new and are carried over from the sedan line. I noticed that the centering was a bit tighter on the E-Tron than on the A8, but that may be due to the well-maintained roads around Abu Dhabi. They are far nicer than the roads around Big Sur where I drove the Audi Sedan. Another small update to the system is the capacitive touch detection that senses if your hands are on the wheel -- a first for Audi. As long as I was touching the wheel, I didn't have to periodically wiggle the steering (to produce a bit of torque the car could register) which is how the system reminds you to put your hands back on the wheel. It's a pleasant upgrade that should please anyone that does a lot of long-distance driving (or is stuck in gridlock on a regular basis). One feature I thought I'd like more were the side cameras and displays that replace the side mirrors. They're not allowed on US roads, so the chances of people experiencing them here are slim. The side-view displays are situated in the uppermost corner of the front doors just below where you would look with a traditional side-view mirror. To adjust the view angle, the driver's side is a touchscreen that you tap and drag to move the virtual mirror. They're slick but after a day of using them, I'm not really a fan. As with anything new, you have to train your brain to not stare at the tiny cameras attached to the side of the car and instead look down a few inches to see what traffic is doing around you. The problem is, other than making cars a bit more aerodynamic, there isn't much value in adding more displays and cameras to a car when a mirror does the same job. I did like that the edge of the display glowed yellow when a car was behind me, but you could add that to a mirror. Maybe if I get the car for a week, I'll come away a believer in a side camera and displays instead of mirrors. But that's unlikely since any car brought to the United States wouldn't be allowed to have the system. And since they're not allowed in this country, my thoughts on their usefulness have no real bearing on the car overall. I would have preferred a rear-view camera like the one found in Cadillacs and Chevy Bolt. Crazy new side-view technology aside, the E-Tron is an outstanding Audi that just happens to be electric. It has all the usual Audi luxury and if you like the company's SUVs, you'll like this. Probably even more so because it's quiet, the torque is great and the fast charging means if your town has the infrastructure (which Charge America is hoping to roll out quickly) you can quickly charge while out and about. The biggest disappointment is that we have to wait until the middle of next year to get it. The E-Tron, like the I-Pace and Model X, shows that electrification and utility are not mutually exclusive. And if you can get some luxury in there are the same time, you might as well pamper yourself while doing your part to reduce your carbon footprint. It really comes down to what you feel through that F Sport steering wheel, through your heels planted in the floor below, and the seat of your pants that's now placed lower in a sportier driving position. The 2019 ES 350 is one of those cars that manages to shrink around you as you hustle it along, feeling much smaller than its full-size sedan dimensions would indicate. It may be based on the Avalon, but that car never felt as lithe and responsive as its Lexus cousin. The extra structural rigidity of the ES is part of the equation. Now, to be fair, the ES in question is the F Sport model fitted with the optional Adaptive Variable Suspension derived from the divine LC, which no doubt helps the dynamics compared to lesser ES trims. But judging by the impressions of others, plus the rest of Lexus' redone lineup, lower-trim ESs seem to drive well. Even the base cars come with novel swing-valve shock absorbers designed to ably soak up bumps while keeping things level around corners. The electric power steering motor has also migrated from the column to the rack – a sure fire way to improve steering feel. And that it does, plus Lexus has a knack of tuning the various steering settings (Normal, Sport and Sport+) to be subtle in their increase of effort. There's no overly stiff weighting to satisfy the notion that "sporty" steering equals "stiff" steering, as is often the case in cars with variable drive settings. Appropriately, I drove in Normal around town and in Sport+ on my mountain road evaluation route. The differences aren't night and day -- it still feels like you're driving the same car -- it's just been tweaked slightly for ideal performance. These drive settings also adjust the adaptive suspension, if so equipped. One potential drawback to the F Sport and its superior handling capabilities is that even in Normal, you feel far more road imperfections than in ES models of the past. In Sport+ it can actually be unpleasant. There are those who may be distressed by this and should probably skip this sportiest of trim levels. Still, it doesn't suffer from the stiff-legged harshness of some early F Sport models like the previous-generation RX. An Individual mode also allows you to mix and match various dynamic elements. The 3.5-liter V6 engine is one element wholly shared with the Avalon along, with its eight-speed automatic and front-wheel drive. Its 302 horsepower is more than capable for a car with such surprisingly sharp driving dynamics. Still, that Toyota eight-speed can't match the right-now responses of the 10-speed found in the LC and LS, and the front-drive layout still results in some torque steer when powering out of a corner. Maybe at some point in the future, the ES will adopt the torque-vectoring all-wheel drive system offered in its new platform mate, the 2019 Toyota RAV4. Adding it to the ES could make a great driving car even better, while allowing the F Sport to be more seriously compared to an Audi A4 or other entry-level sport sedans. Perhaps it's not technically feasible, but given the increased importance of all-wheel drive in the market, adding an ES 350 AWD model seems like a good idea for reasons beyond the mitigation of torque steer. If there's one let-down, it's the cabin. The design is a bit dull in comparison to the sensational LS and LC, and although everything seems screwed together to the usual Lexus standard, the materials lack a certain richness. It seems closer to the admittedly high-quality Camry and Avalon than it does a junior Lexus LS. You also have to deal with the Remote Touch interface and its abysmal touchpad controller. Sure, it now features Apple CarPlay, but it doesn't do a good job of actually controlling it – much like the rest of the infotainment system's various functions. I could live with Remote Touch in a sports car like the LC, but in a daily driver like the ES? It could be a deal breaker. And breaking a deal for the ES 350 F Sport would be a real shame, because it's truly one of the more enjoyable cars I've driven this year. I also think it looks pretty good when painted in the test car's Ultrasonic Blue Mica 2.0, and who can argue with a full-size sedan back seat? Most importantly, though, it drives like a Lexus. Winter is no longer coming, it’s here, but for some reason we still have to leave the house. 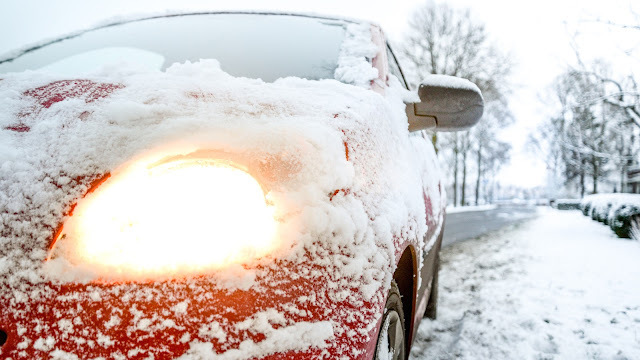 If you’re dreading the work it will take to make your car drivable, here’s a relatively easy snow-clearing method. It’s definitely easier on the arm, though it may not be effective if your snow has been on the car a long time or is frozen in layers. But it’s a great first sweep. Where Is the Best Place to List a Used Car For Sale? As Jalopnik’s resident car buying expert and professional car shopper, I get emails. Lots of emails. I’ve decided to pick a few questions and try to help out. This week we are discussing the best place to list your used car, getting a used Lexus vs a new Toyota, and warranties on salvage cars. First up, is there one best place to list your car for sale? I’m looking to sell our minivan and am not getting bites on Craigslist (our price is probably too high, but that’s a different issue). I don’t buy used cars and really don’t know which sites are best in which to list them on. Yeah, last time I was in the market for a used car I grabbed one of my brother’s AutoTrader magazines printed on newsprint in black & white, back in the 80's. Is there a guide on which sites to use? Got suggestions? I’m thinking of Ebay Motors, Cars.com, Autotrader, etc. Craigslist is a good place to start, it’s free and if you have something on the lower end of the market, say under $15,000, CL usually will get you good results if the car is priced right. However, a lot of folks don’t realize that the large third party listing sites like Autotrader, Cars.com, CarGurus, etc...all have pretty reasonable prices for listings. Cars.com will give you a free listing with up to five images for 30 days and most basic listing packages range between $25 to $50 on a variety of sites. You mentioned good old-fashioned print listings and, depending on the car you have and your local market, you may want to put an ad in a local paper or used car guide. There are still a lot of folks (okay, Olds) looking for cheap cars that aren’t the most tech-savvy and are and still peruse the local classifieds. However, sometimes these ads can be kind of pricey. The goal here is to maximize the amount of eyeballs on your used car but not spend a ton of money doing so. If you have something that’s not that old and you want to move it quickly, startups like Vroom and Carvana will sometimes buy your car without having to buy one of theirs, and will even pick it up. Both sites have online evaluators to give you a ballpark as to what you can expect. But is it better to buy a used luxury car or a new mainstream model? I’m a guy who buys and holds cars for years; I’m still driving (a) 2002 Yukon and my wife a 2005 Prius. She wants and really needs a new car. I was leaning toward 2019 Honda CRV or 2019 Toyota RAV4. I just read about Honda engine problems so I’m thinking Toyota. BUT...would a late model RX350 be a worthy contender? There’s no way I spring for new one. It all depends on your budget and priorities in regards to tech. The Toyota RAV4 is going to have the most up-to-date infotainment and safety features (within the Toyota lineup). Lexus will give you some of the features, but cars that are two or three years old don’t have things like Apple CarPlay or Android Auto or the latest advanced safety features. 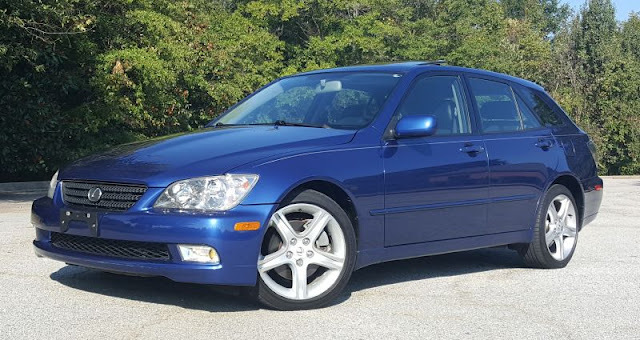 But if you aren’t as concerned about that stuff and just want something comfortable, reliable, and a little bigger a used/CPO Lexus would be a good option. And finally, does a salvage title void any warranty balance? I live in California, I’m not very familiar with purchasing a salvage vehicle. I’m trying to buy a secondary car for under 10k. There is a 16 Malibu for sale in the 10k region in my area. The guy who is selling the car says the car didn’t have much damage on it when he bought it in the auction, the car was impacted between the driver side doors. The car currently has about 30k miles on it. I’ve read that some people have had a good experience with their salvage title vehicles. The engine seems to be in perfect conditions. Unfortunately, I’ve read that 16 Malibus and Cruzes have a common problem when it comes to engine misfire being caused by bad pistons. This issue was present on the 1.5 turbo engines. My question is, do salvage vehicles maintain their powertrain warranty when such known issue is known? I ask because say I purchase the vehicle and down the line, the issue comes up. The car seems to be a great offer, but this issue worries me. I usually recommend avoiding salvage title cars at all costs, especially if it is meant to be a daily driver. If you are going to buy a cheap salvaged Lotus and turn it into a race car, that’s another story. Of course, you can pick up a car that is generally pretty good despite having the salvage issue, but you need to be extremely careful. Always get cars like this inspected by an independent mechanic to spot any severe trouble spots. And as for the warranty issue, I relayed this question to consumer protection attorney and friend of Jalopnik, Steve Lehto. “Check the warranty language to be sure but most companies void warranties on salvage vehicles. It’s not the damage that matters, it’s the designation,” he said. 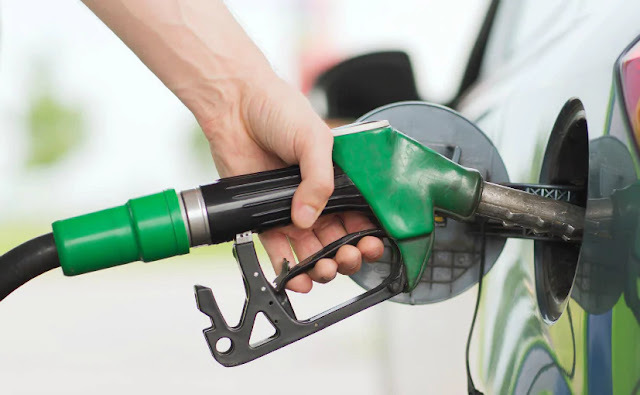 With fuel prices on the rise daily, here are seven tips to make sure you get the best fuel economy out of your car, be it a petrol or a diesel engine. With fuel prices at a record high and showing no signs of reducing anytime soon, the hot topic of discussion is fuel economy. And while some people are actually considering moving to a smaller car that has better fuel mileage, fuel economy actually depends on a lot more than engine size and car size. As the saying goes, it is now what you drive, it is how you drive it. While there are several products on the internet including some gadgets and gizmos that claim to improve your fuel mileage or fuel economy, most of these are usually a scam. What really helps is how you drive your petrol and diesel car to make sure that ever growing petrol price and diesel price isnt too heavy on your pocket. While you might think doing that one free service a year when you get a phone call from your authorised service centre is enough, it actually isn't. You car is a machine and like every machine, it needs constant upkeep. We aren't asking you to check your car every morning like it is the 1960s, but checking oil levels and coolant levels once every two weeks can actually have a big difference on your car. Oil levels are crucial and so is using the correct grade of oil that has been recommended by the manufacturer. Another very important part of service are filters. Air filters, fuel filters and oil filters make a big difference in ensuring the engine runs at peak mechanical efficiency and that in turn ensures good fuel mileage. It also helps to make sure your spark plugs are clean and without a layer of soot on them. The manufacturer recommended air pressure is crucial - not only for a comfortable ride and correct handling but also for ensuring fuel mileage. An under inflated tyre leads to friction and that leads to kinetic energy being lost. Another trick is to actually increase the air pressure in your tyre by a few PSI. That makes the side walls firmer and reduces the contact patch of the tyre but at the same time it can lead to blowouts (if over inflated) and lower grip as compared to correct pressures. And while it is known to work, we personally would not recommend it. You are not Vin Diesel. You are not chasing an Antonov AN 225 down a runway with baddies shooting at you. And thus you don't need to change gear every 3 seconds. Being in the right gear at the right RPM helps the most. Especially if you are in a high traffic area. Another mistake people regularly make is to rev the engine all the way to its redline before changing gear. And while that might be great if you don't give two hoots about your fuel economy, it makes a HUGE difference if you do. Always remember, shift up as quickly as you can and only shift down when you need to to get the best fuel mileage. Also, sometimes, especially while coming down slopes, it is actually better to leave the car in a higher gear and not shift it to neutral. Remember, neutral means that the RPM of the car is at idle and therefore controlled by the ECU. Alternatively, being in a higher gear makes sure that RPMs depend on engine speed and considering the fact that the throttle is closed off as much as the ECU would allow, fuel economy is actually higher. That said, NEVER TURN YOUR CAR OFF WHILE DRIVING DOWNHILL as although it can give you the best fuel economy, it could also result in accidents due to power steering and power brakes not working to their optimal levels. Weight is the worst enemy when it comes to fuel mileage. And while you cant ask your passengers to get off just because you want 1kmpl more, you can get rid of anything unnecessary from your car to save weight. This of course does not mean that you should get rid of your spare wheel or tools, but always remember to clean our your boot of anything unnecessary while you travel. And while an extra spare wheel is great when you travel, it is not necessarily needed while in the city. 5. Keep those windows up! While it might not seem so, aerodynamics play a HUGE part in improving fuel economy. Windows rolled up means that the car's body is as slippery when coming in contact with the air that it can possibly be. This means that the air flow around your car will be at its best and you don't need that little extra power to make your air cut through the air. Of course, in a country like India, it is always best to have your windows up and your air conditioning on in order to sacrifice a little fuel economy for the sake of your health. While most lists will ask you not to use your air conditioning, we know it is an essentially need rather than a luxury if you intend to drive in India. In summer, with temperatures peaking at almost 50 degrees outside, the car's interiors are usually even hotter and can take quite a while to cool down to a bearable level. This means that your AC has to work overtime at full blast, in turn sapping power from the engine. So just park under a shade. You will have a cooler car to come back to and your wallet will thank you too. Avoid situations where the car is idling for over a minute. While normally a starting procedure takes more fuel, it is less than having your car idle for over a minute. IF you have a car with start-stop technology, use it. This will help especially if you in a situation where traffic rolls for a few metres and then comes to a stand still repeatedly. Does your car need servicing? Does it clear all the emission tests? Well, servicing your engine at the manufacturer-specified intervals and paying attention to its health is a good way to make sure that the mileage it delivers is the peak mileage. Using the correct grade of engine oil is as important as getting your car serviced timely. The viscosity or the type of engine oil has a direct relation with mileage that the engine delivers. The correct grade of engine oil for your car can be found in the owner’s manual. We strongly recommend you to stick to it. Tests show that using a non-specified grade or type of engine oil can affect the fuel efficiency adversely by over 20 percent. Now, we aren’t asking you to shift gears without using the clutch pedal. What we mean is that one should never drive with the feel placed on the clutch except when he needs to engage it. This will help you save some fuel from getting wasted. Avoid over-revving to keep the mileage from dropping. Accelerating too hard consumes a lot of fuel. Hence, we urge you to accelerate slowly and gradually. This will save you a sufficient amount of fuel in traffic. Changing gears appropriately is also very important to ensure a high mileage. This is applicable to both manual and automatic transmission cars. Hard acceleration in automatic cars revs the engine to higher speeds in every gear. This has an adverse effect on the fuel efficiency. One should try to maintain a constant speed for as long as possible. Repeated acceleration and deceleration causes unnecessary burning of fuel. Hence, maintaining a constant speed actually helps you conserve some fuel. Driving with any unnecessary luggage increases the weight your car needs to carry around. Hence, it’s recommended to carry only the essentials. Even small, light objects have a considerable collective weight. Hence, keep your car light to burn less fuel. As a general rule, turn off your car if you're stopping for longer than 30 seconds. Don't turn it off otherwise because the car will require more fuel to start again. Since this is something we Indians already do well, we won't dwell on this point. We are aware that conditions in our country don't allow us the freedom to keep the windows open any longer - pollution and higher temperatures mean that nowadays the air-con is constantly on. But the AC does consume a lot of power and fuel to run, so try turning it off when the weather is bearable. Also, if the air con system in your car comes with climate control, you can turn it off ‘Auto' mode and keep it in a low blower mode to use less fuel, since the AC won't have to kick in as many times to maintain the specified interior temperature. But keep the AC on and the windows up on the highway where speeds are higher, since you can actually save gas because of reduced aerodynamic drag. Make no mistake, a car that's been lousily maintained will not give you good fuel economy figures. Make sure you regularly service your car - get the air filter, fuel filter and spark plugs checked habitually. In addition, have the car's oxygen sensor checked every 60,000 km or so, since a faulty sensor could drop your car's mileage by almost 20 percent. The oxygen sensor, a part of the emissions control system, helps the engine run as efficiently as possible by determining if the fuel mixture is lean or rich, and accordingly adjusting the amount of fuel entering the engine. The heavier a car is, the more fuel it uses. So rid your car of any accumulated junk or unnecessary luggage. Apart from saving gas, your car would become become a much nicer place to be in. Since fuel is denser when cold, it is worth it to wake up early and fill in gas. The pump measures fuel by volume, so you actually get more fuel for your money. During the hot season, fill up early mornings if possible. But remember to always check the fuel cap whenever you tank up, because evaporating fuel is obviously not going to be kind to your car's mileage. How many times do you set out with the Missus for weekly grocery shopping and end up doing circles? Try keeping stops to a minimum, and combine jobs to do at places like malls, etc. which allow you to finish various kinds of errands in one place. Apart from keeping tempers cool, mapping out your route on GPS will help you avoid traffic jams, and most importantly, save you significant amounts of fuel. While oil companies might claim better power, mileage and efficiency from their ‘special' fuels, switching your car to higher octane fuel, for example, will not make a difference to your fuel economy because your car engine may not have been designed to run on it. So instead of saving money, your fuel costs actually increase, because of the generally higher prices of these fuel variants. Also, only use the manufacturer-recommended engine oil and your car will perform efficiently. Most auto ‘boxes are designed not to upshift before a particular speed. 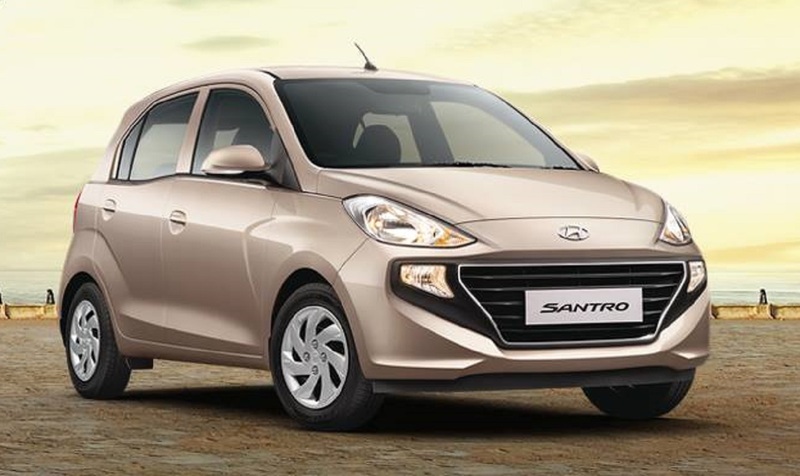 The upside of this is that it generates sufficient torque for the shift, and optimises fuel economy of the upshift as well. However, an automatic gearbox is generally not able to differentiate situations where less torque is required and as a result, often holds the engine in a lower gear than necessary, thereby consuming more fuel. Thus, if your gearbox has a manual option, switch to manual mode and make the gear changes yourself to improve mileage. If you're not in a hurry to get to your destination, try this out. Following large vehicles can actually be a very stress-free way to drive, since they generally make smoother lane changes and can usually gauge the quickest route (for them) through traffic or out on the highway. Slipstreaming a truck or bus from a safe distance will help you save fuel since the strain on your car engine is much less, but we understand it's not always possible. If you notice, we generally tend to start the car and only then do the mandatories - slip on sunglasses, fasten seatbelt, lock doors, adjust mirrors, etc. If we get these things out of the way first, one or two minutes of idling fuel can be saved every day. When you get home after work every day, make the effort to reverse park your car into your garage. This of course applies to only those with a flat, easy-to-access driveway. You can save precious fuel every day, since you would not have to spend time reversing and manoeuvering when the engine is cold. We trust that you found these tips useful, and hope that it saves you money as well. It's heartening to know that these tips can be easily followed, but still produce significant results, especially in the long run. If you feel we've omitted a trick or two that you may have learned from your driving experience, or if you did indeed find this information useful, do write in and let us know. Here's to saving precious bucks! 27. Tune up the engine. A properly tuned engine maximizes power and can greatly enhance fuel efficiency. Beware, though, that many tuners will disable efficiency measures when tuning for power. Be sure you are keeping good spark plugs in the engine, changing the oil on time, making sure the air filter is clean, etc. 28. Check the condition of your engine air filter. A dirty filter will reduce fuel economy, or make the engine stall when idling. Just like mowing dusty grass, driving dusty dirt roads will clog the air filter: avoid dust clouds. 29. Replace the fuel filter according to the car manufacturer's recommended schedule. This will go a long way to enhancing fuel efficiency. Get the lightest car that will serve your needs. Weight is one of the biggest causes for loss of kinetic energy in non-hybrid cars. If you're not shopping for cars, then take any extra weight off of the one you're already driving. If seats that you don't use can be removed, take them out. If you use your trunk as a storage space for heavy things, find another place for them. An extra 100 pounds increases fuel consumption by 1–2%. (Weight is most important in stop-and-go driving. In almost exclusively highway driving, it matters little: once the car is up to speed, it need only push air out of the way.) Don't remove things from the car that you need frequently; instead, make sure these are in the car and readily accessible because wasted trips to retrieve or replace them will be much worse than a little lower mileage. 30. Select the narrowest possible tires for your vehicle that will satisfy your driving style and demands. Narrow tires have less frontal area, thus reducing aerodynamic drag. Remember, however, that narrow tires have less traction as well (which is why race cars have such wide tires). Do not get a tire that is incompatible with your wheels (use the size tires that came stock on the vehicle), and do not get smaller wheels unless your manufacturer approves. 31. Select low-rolling-resistance compound tires. These can increase fuel economy by a few percent. However, the difference is not startling or a substitute for proper inflation. It would be wasteful to replace the former tires with these before they are worn out. 32. Make sure the oxygen sensors, engine emissions system, and evaporative emissions control systems are in good shape on fuel-injected cars. Often the "check engine light" coming on is an indication that there is a problem with one of these components. A damaged oxygen sensor may cause your car to have too rich of a fuel mixture, decreasing your fuel mileage by 20% or more. 33. When you fill up with gas, fill up halfway and try to keep your tank above one quarter full. If your fuel runs low,you could put stress on the fuel pump. However, 10 gallons (37.9 L) of gas adds 60 pounds of weight. A half-full tank may increase your mileage. 24. Add a synthetic oil additive to either natural or synthetic oil when getting your oil changed. This can increase your gas mileage by up to 15% if you follow the manufacturer's instructions and recommended usage. Be aware that the usefulness of this is questionable: it may be unlikely that synthetic-oil "additive" would cause a car to work much less hard; it would not make the oil overall much less viscous, and circulating the oil is only a relatively small task for a car engine. No two fuels are the same, and while "discount" brand fuel may save you a few cents per L or Gal, it can contain a higher percentage of ethanol, which burns at a faster rate. Compare the mileage between fuel companies and see what is best for your car. 26. Try to avoid using the air conditioner in stop-and-go city driving as it causes the engine to work hard and consume more fuel. In most situations, using your cruise control reduces fuel consumption by maintaining a constant speed. The faster you move, the harder your engine has to work to push through the air. Speeding can reduce fuel efficiency by up to 33%. (Factors other than air resistance decrease fuel economy below about 60 mph (97 km/h), so fuel economy is not a reason to go slower, but fuel economy decreases rapidly above that speed). 30. Accelerate smoothly with moderate throttle. 31 Avoid braking wherever possible. Braking wastes energy from fuel that you have already burned, and accelerating after braking consumes more fuel than driving at a constant speed. On city streets watch ahead and coast when you see a red light or traffic jam ahead. 32. Find your car's "sweet speed". Some cars get better mileage at specific speeds, usually 50 mph (80 km/h). Your car's "sweet speed" is the minimum speed at which the car is running in its highest gear (watch for rpm drops as you accelerate to determine when your transmission is shifting into higher gears). For example, most Jeep Cherokees are best at 55 mph (89 km/h), and Toyota 4Runners are best at about 50 mph (80 km/h). Find your vehicle's "sweet speed" and pick your roads accordingly. 33. Make sure you enable overdrive if your car has an automatic transmission with overdrive, except when towing very heavy trailers. Overdrive is by default enabled on the "D" on most shifters. Several cars have buttons on the shifter which allow you to turn off the overdrive gear. Don't turn it off except in specific circumstances it may be needed such as for engine braking downhill or failure to proceed uphill smoothly in overdrive. Overdrive saves you gas mileage at higher speeds by using a higher gear in the transmission. For example, for every ¾ of a turn of the engine going into the transmission, the output of the trans is one. 33. on't circle in a parking lot, and keep well away from the store fronts. Look for a spot in the empty half of the parking lot. Many people spend significant time idling and creeping, waiting for a "close spot" to open up. 34. Maintain a safe following distance. Don't stick to the bumper of the car directly in front of you. You will brake more and accelerate more to keep that unnecessary and dangerously narrow gap. Relax. Hang back a bit. This also gives you a lot more room to play with when you are timing lights. When the driver ahead of you slams on his brakes, you can coast down and see if the light quick-changes green again (some do). You might even coast by his car as the light turns green and he has to accelerate from a dead stop. 35. Avoid turning across oncoming traffic. If your route will allow it, try to make as few left turns as possible on the way to your destination (or right turns in countries with left-hand traffic). Stopping and waiting at an intersection to make a turn across the oncoming lane lets the engine run idle, which wastes gas, as does accelerating once again to make the turn. 36. Maintain a log over time of how many miles you go (the main odometer) and how much gas you put in (from the gas pump, including fractions). Put it in a spreadsheet. It will keep you focused, and other methods are inaccurate; you will never know for sure if you're saving fuel, wasting fuel or just seeing errors from gas pumps that stop pumping at different points, or fractions of miles being dropped off your 'trip' odometer when you reset it.